When The Baron and I were talking about baked goods the other day, I realized that I need to get moving on gluten free baking. This was the perfect opportunity to make cinnamon rolls! I can't even tell you how often I've seen some beautiful cinnamon rolls at bakeries, only to walk away because they weren't gluten free. Now, I don't have to worry because I can make them myself and put my own twist on them! 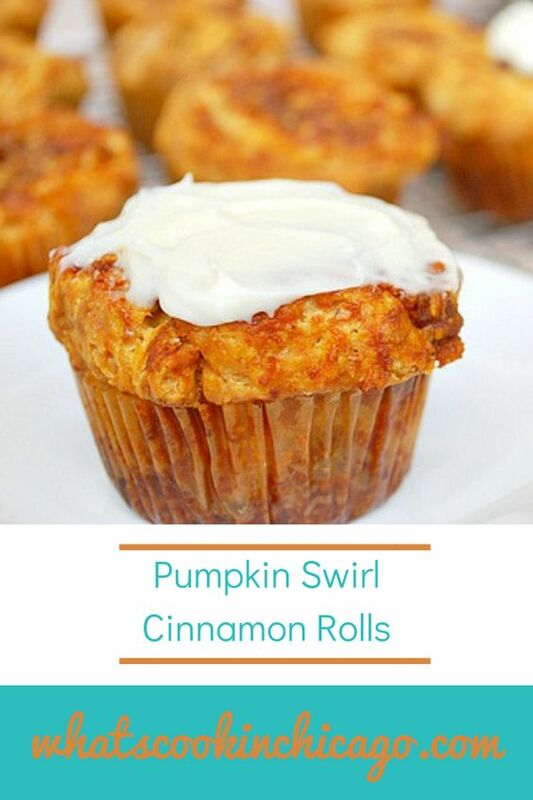 This is the season of pumpkin and why not incorporate it into cinnamon rolls? 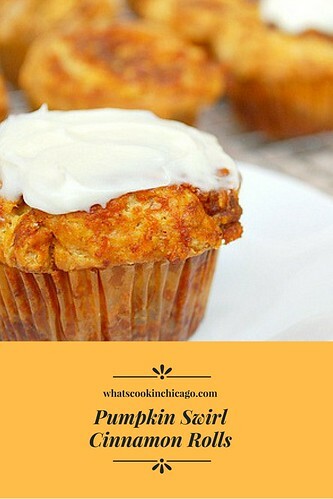 For this recipe I made the dough using a gluten free flour blend* and added some pure pumpkin (not pie filling) to the filling. Note, there is a lot of butter in this recipe so it's definitely indulgent! 1. MAKE DOUGH Combine flour, sugar, yeast, and salt in large zipper-lock bag. Add butter to bag, seal, and shake to coat. Press air out of bag and reseal. -Following photo 2 (top left), roll over bag several times with rolling pin, shaking bag after each roll, until butter is pressed into large flakes. Transfer -mixture to large bowl and stir in sour cream, orange juice, water, and egg yolk until combined. 2. ROLL DOUGH Turn dough onto floured surface and knead briefly to form smooth, cohesive ball. Roll dough into 20 by 12-inch rectangle. Starting at short edge, roll dough into tight cylinder. Pat cylinder flat to 12 by 4-inch rectangle and transfer to parchment-lined rimmed baking sheet. Cover with plastic wrap and freeze for 15 minutes. 3. FILL AND SHAPE Line 12-cup muffin tin with foil liners and grease liners with cooking spray. Combine granulated sugar, brown sugar, orange zest, cinnamon, vanilla, pecans and pumpkin in medium bowl. Remove dough from freezer and place on lightly floured surface. Roll dough into 20 by 12-inch rectangle and spread evenly with filling, leaving ½-inch border around edges. Starting at long edge, roll dough into tight cylinder and pinch lightly to seal seam. Trim ½ inch dough from each end and discard. Cut cylinder into 12 pieces and transfer, cut side up, to prepared muffin cups. Cover loosely with plastic and refrigerate at least 4 hours or up to 24 hours. 4. LET RISE AND BAKE Adjust oven rack to middle position and heat oven to 200 degrees. When oven reaches 200 degrees, turn it off. Remove buns from refrigerator and discard plastic. Place buns in turned off oven until puffed and doubled in size, 20 to 30 minutes. Remove buns from oven and heat oven to 425 degrees. Bake until buns begin to rise, about 5 minutes, then reduce oven temperature to 325 degrees. Bake until deep golden brown, 40 to 50 minutes. Cool buns in tin 5 minutes, then transfer to wire rack and discard liners. Serve warm and frost with cream cheese frosting if desired. MAKE AHEAD: Transfer filled muffin tin to freezer until buns are firm, about 30 minutes. Transfer buns (with liners) to zipper-lock bag and freeze for up to 1 month. 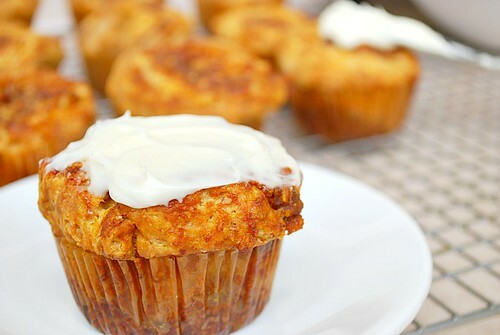 To finish, return buns to muffin tin and refrigerate for at least 8 hours or up to 24 hours. Proceed with step 4. Slowly add confectioners or powdered sugar into the bowl, 1/2 cup at a time and beating after each addition. Continue adding the sugar until you have a thick frosting of your preferred consistency.